Sehn was one of Snap’s highest-paid execs. He’s the fourth exec to leave Snap since its initial public offering earlier this year. Tim Sehn, Snap Inc.’s senior vice president of engineering, is leaving the company, The Information reported on Tuesday. Sehn joined the Snapchat-marker in 2013 and has overseen all of the company’s engineering efforts to date. 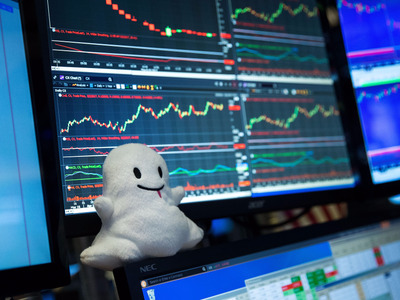 A $US40 million stock award made him one of Snap’s highest-paid executives last year. A Snap spokesperson declined to confirm or comment on Sehn’s departure. Sehn couldn’t be immediately reached for comment. Snap is expected to file information about its third-quarter earnings with the SEC on Wednesday and could disclose the departure there. Jerry Hunter will replace Sehn, according to The Information. Hunter had served under Sehn as Snap’s vice president of core engineering since he joined from Amazon last year. Sehn is Snap’s fourth executive to depart since its tumultuous initial public offering earlier this year. The company missed Wall Street’s expectations for its third-quarter earnings on Tuesday and said it planned to release a redesign of its app to help kick-start stalled user growth.